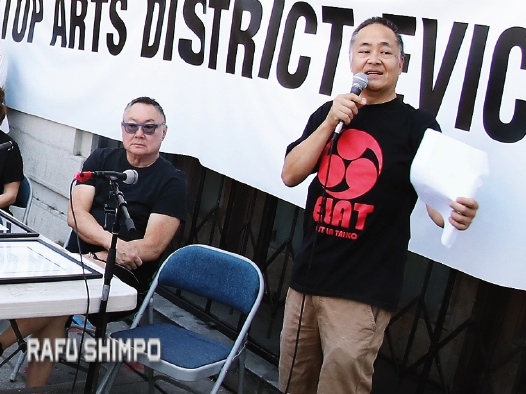 Stakeholders oppose evictions at 800 Traction St.
A coalition of Little Tokyo and Arts District stakeholders held a rally July 29 to support eight artists facing eviction from their homes at 800 Traction St. in L.A.’s Arts District. 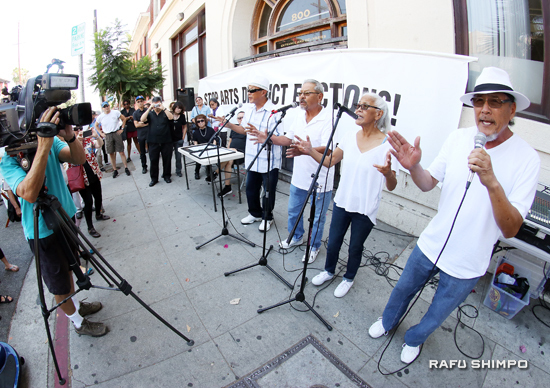 The tenants, who have been part of the local arts community for decades, face eviction at the end of August by the century-old building’s new owners, DLJ Real Estate Capital Partners, a New York private equity firm whose leadership includes several executives of Credit Suisse, which bought the property for $20 million. 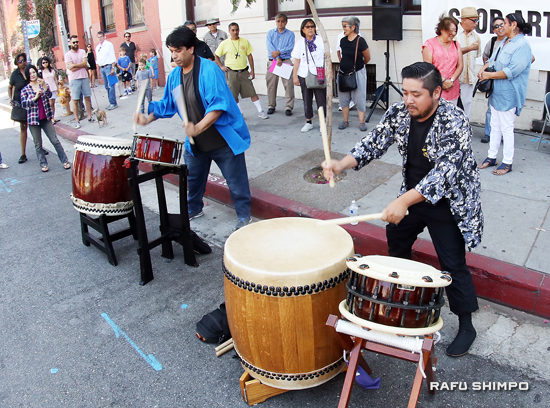 About 60 people attended the rally in front of the building, which opened with performances by members of Chikara Taiko and East L.A. Taiko and a performance of the ’70s hit “Wake Up Everybody” by Asian Persuasion. 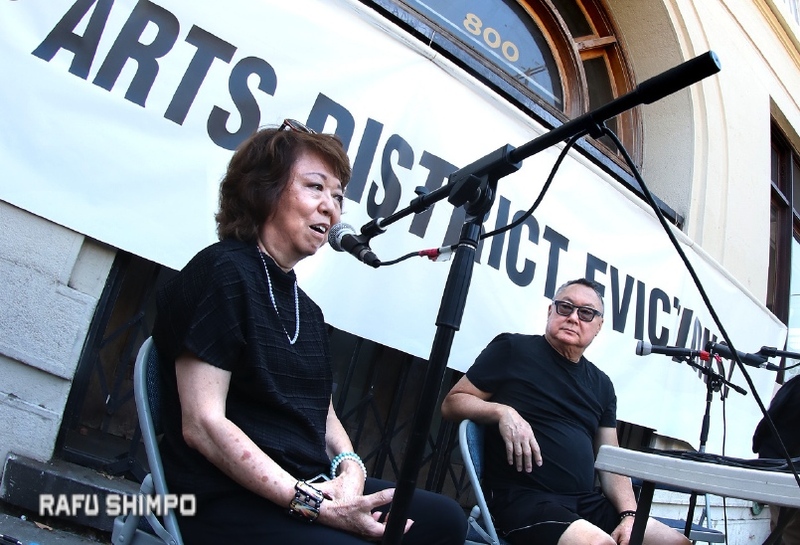 Among those affected by this trend are lower-working-class families, senior citizens on fixed incomes, veterans, and small community-serving businesses, Miyagawa said. 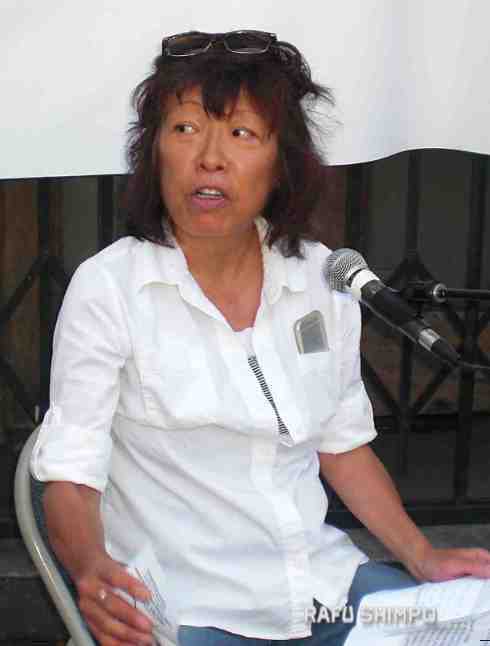 Citing other community institutions on the east side of Alameda Street, including St. Francis Xavier Chapel-Japanese Catholic Center (Maryknoll), Zenshuji, Nishi Hongwanji and Fukui Mortuary, Miyagawa said that 800 Traction is part of local Japanese American history going back to the early 1900s. He added that the Fugetsu-do confectionery on North First Street is facing the prospect of being priced out of business due to rising rents. “Because of market rates, small businesses that have been serving the community for generations are being driven out. For information on opportunities to get involved and to be notified of future events, contact Miyagawa at standwith800traction@gmail.com.